Transport: Arriva Bus Number: x1; 101;102; 221; 222. 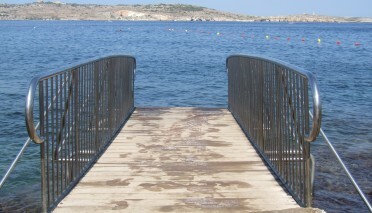 Special Needs: Wheelchair access and special sand wheelchair buggies for physically impaired bathers. 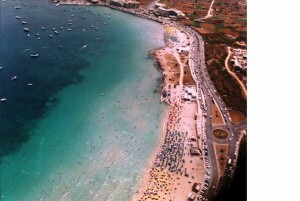 Mellieħa Bay is the largest beach of thirteen pocket beaches around Mellieħa. It is a sheltered beach between two headlands and is situated on the Northern part of the Island. Its sand has a low gradient slope and together with its clear, shallow water makes it the most popular family beach on the island. 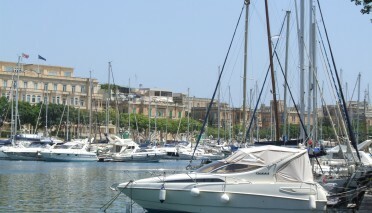 MellieħaBay has most facilities and services including restaurants and two hotels. Some parts of the bay are designated for water sports and wind surfing. 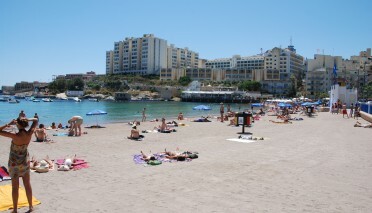 Beach management is operated between June and September by the Malta Tourism Authority with the cooperation of Mellieha Local Council. 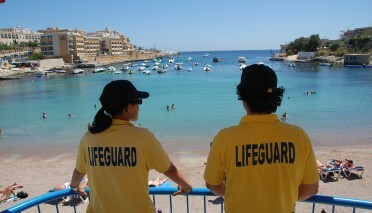 It includes the services of lifeguards, a small First Aid clinic, two beach supervisors and a number of persons in charge of beach maintenance. It is an accessible beach furnished with a mobile toilet, wheelchair access and special sand wheelchair buggies for physically impaired bathers. In 2011 the beach was awarded a Beach of Quality Award, while in 2012 it is being awarded a …. …. award. Mellieħa Bay has an old watch tower also known as the Red Tower for its intense red ochre colour. Perched on one side while the old village of Mellieħa is situated high on the opposite side. The hinterland of Mellieħa Bay was once an important salt flat and wetland, known as L-Għadira. It is now a Nature Reserve that boasts of indigenous flora and fauna, and is popular with bird watchers who study local and migratory birds. 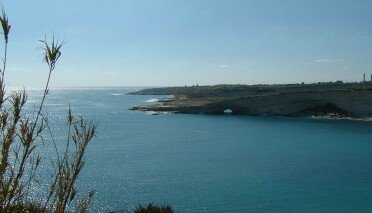 Mellieħa Bay is also referred to as L-Għadira.